Claims Excellence Awards - What's it like to win? What’s it like to win an Insurance Times Claims Excellence Award? And what does it mean to your colleagues, your customers and your business. Q What has winning a Claims Excellence Award done for your team and business? A It has certainly raised our profile in the local area and also across the country. Our team and business are immensely proud to have received the recognition we have, for helping our customers in their hour of need. Q What effect do you think it has had for your reputation in the market? A Existing customers, prospective new clients and insurers have real confidence that we will do our very best for policyholders during a claim. 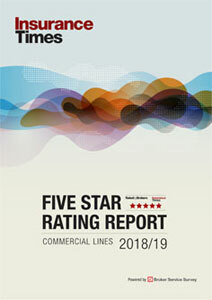 Proving that a good broker can make all the difference in delivering a quality service, putting our customers at the heart of everything we do. Q Explain a little bit about what your winning entry was and what you think made it stand out? A The award was for my involvement in helping customers during the Cumbrian floods of December 2015, whilst personally being flooded also. I was fortunate that the judges appreciated the personal effect the floods had on my young family, yet my colleagues and I put our customers first to ensure their claims were sorted as quickly as possible. Q The final part of the process to win an Award is a ten minute presentation to judges. Do you have any tips for this year’s entrants? A Just be confident and remember you are there for a good reason, you deserve to be in front of the judges. Q Finally, how did you find the celebrations on the night, and what did it feel like winning the Award? A Wicked! From what I can remember. A My team were really pleased with winning the award, it really motivated them to continue to innovate. Winning the award helped us engage other Insurers with our idea and we have had strong support from the market for the Portal. A It showed how innovative Aviva are in looking to improve the insurance claims system for the benefit of our Customers. As it was a joint entry with another insurer, it helped show that we are willing to collaborate across the industry to improve the system for the benefit of customers. A Time is limited so be concise with the explanation of your entry, make sure you explain how it will impact the customer journey and use data to show how it is working. A The event was a fantastic night. We invited the internal team who had developed the idea and for them it was a truly special night. Q What has it done for your team and business in winning at the Claims Excellence Awards 2016? A Winning this Claims Excellence Award was hugely motivating for all our claims handling staff. It also put an industry-wide stamp of approval on Cunningham Lindsey’s commitment to developing great customer care. Q What effect has it done for your reputation in the market? 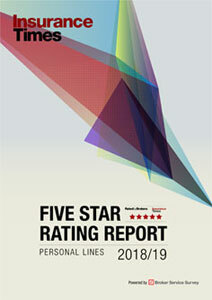 A This award enhanced our reputation as being large enough to cope, whilst always maintaining the personal touch – we treat every customer as an individual. Q Explain a little bit about what your winning entry was and why it won? A Our winning entry was for iCare – our customer care initiative – introduced across the business in 2014. iCare is about putting customers and staff at the heart of absolutely everything we do – without exception. We believe we won this award because we were able to demonstrate the positive impact iCare has had on staff engagement. We empower our staff to do what’s right for the customer, which measurably improves customer satisfaction scores and reduces complaints significantly. A When you’re passionate about your subject, it’s a challenge to keep the presentation down to ten minutes. However, it went very well and we were obviously delighted with the outcome. Q Finally, explain what the celebrations were like on the night of winning the award? A It was a fantastic night. We picked up two awards, so we celebrated twice as hard!